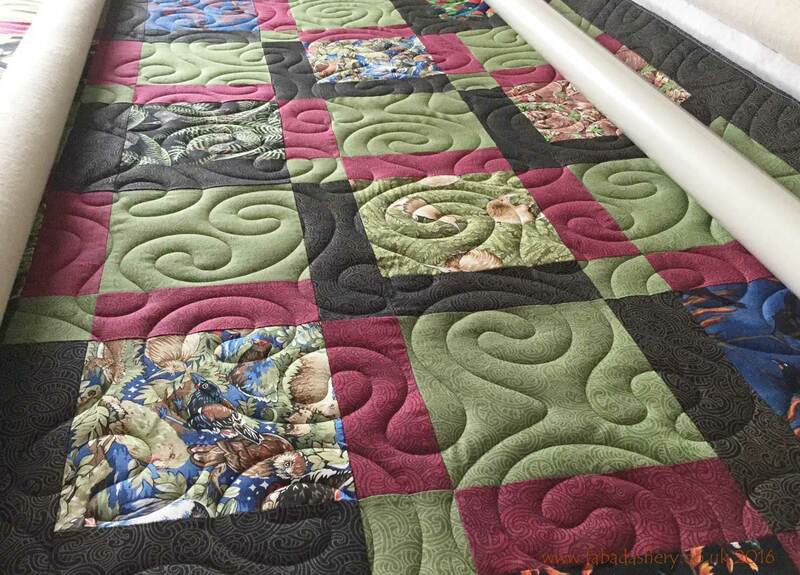 Over the Christmas period my quilting friend Penny welcomed baby Ted to her family. 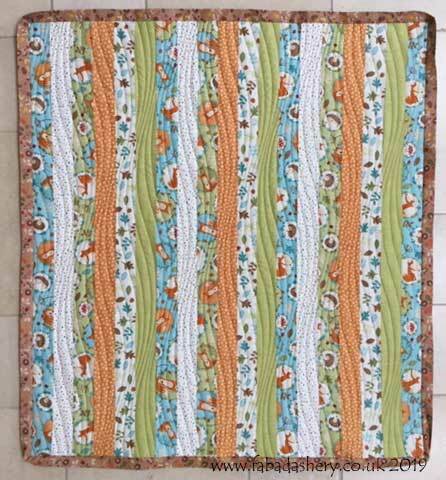 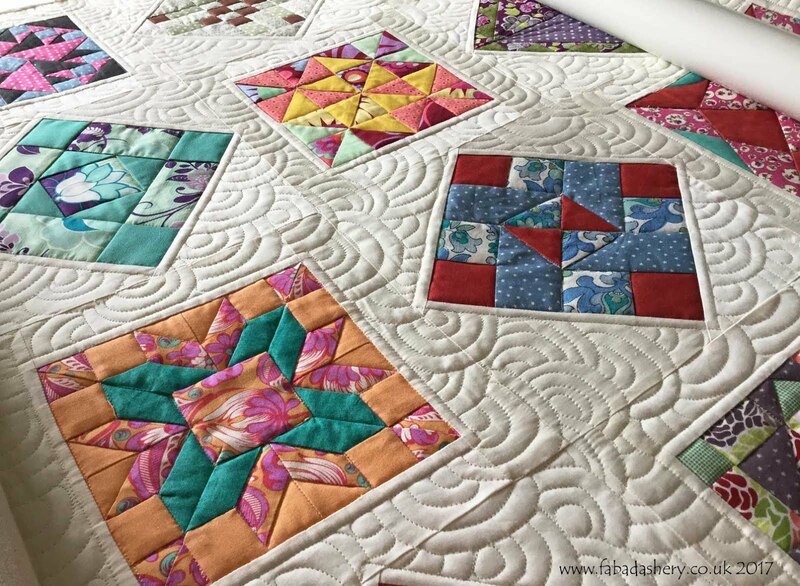 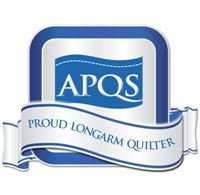 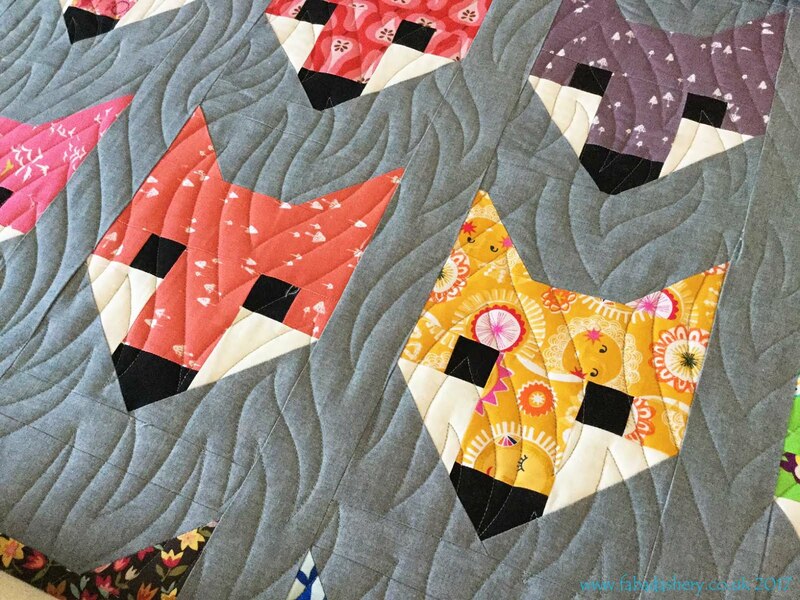 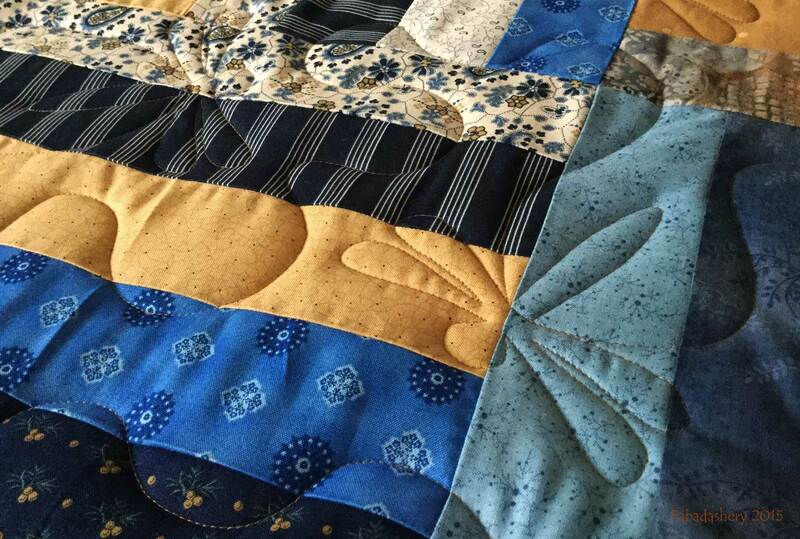 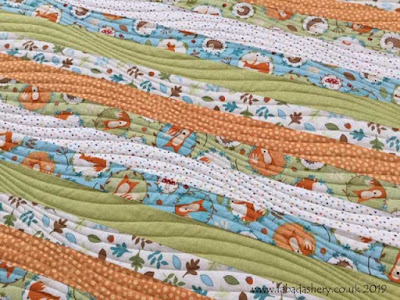 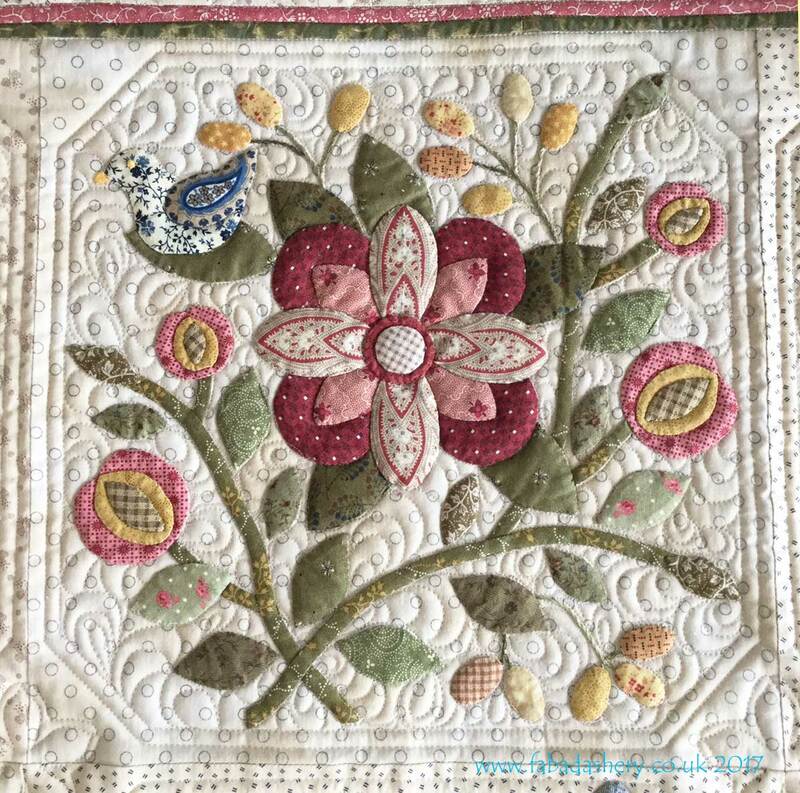 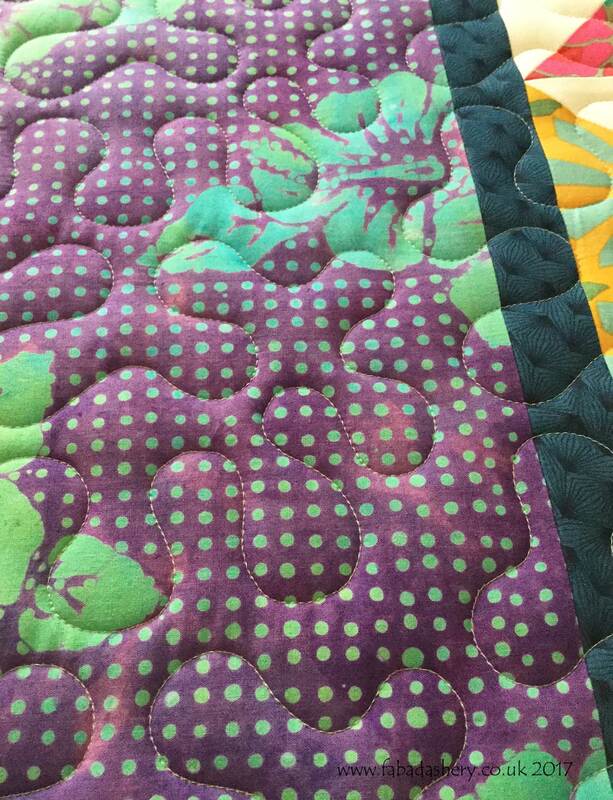 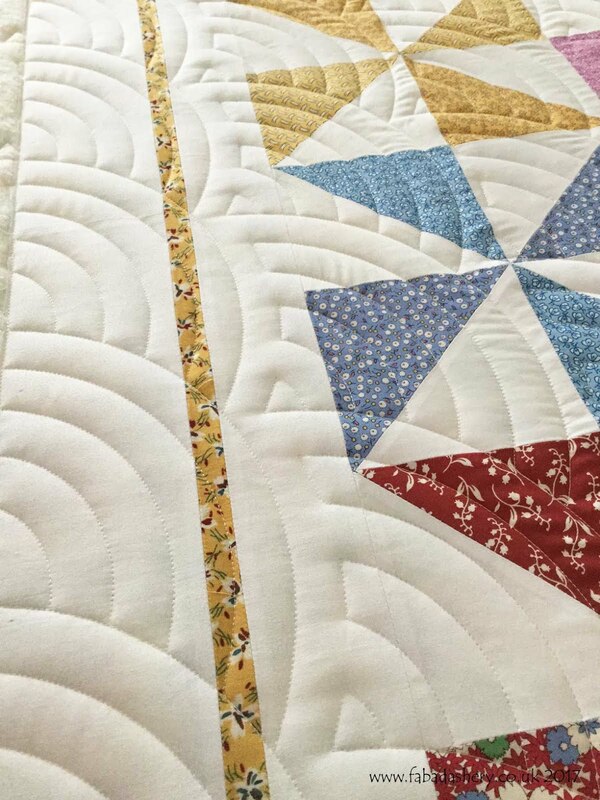 My other quilting friend Suz, made this adorable baby quilt out of Lewis and Irene fabric strips for the occasion and I popped it onto my APQS longarm quilting machine to finish it off with the ever popular 'Modern Curves' quilting design by Anita Shackleford. 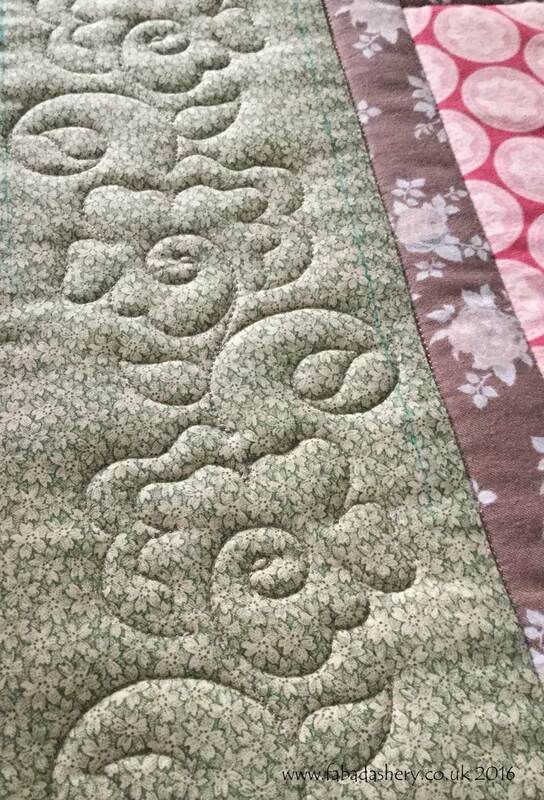 Simple but fun.